We’re hosting our annual World Turtle Day Celebration at Noccaula Falls tomorrow May 23rd from 9 a.m. to 2 p.m. If you attended last year, you know that it’s a unique event at Noccalula Falls. 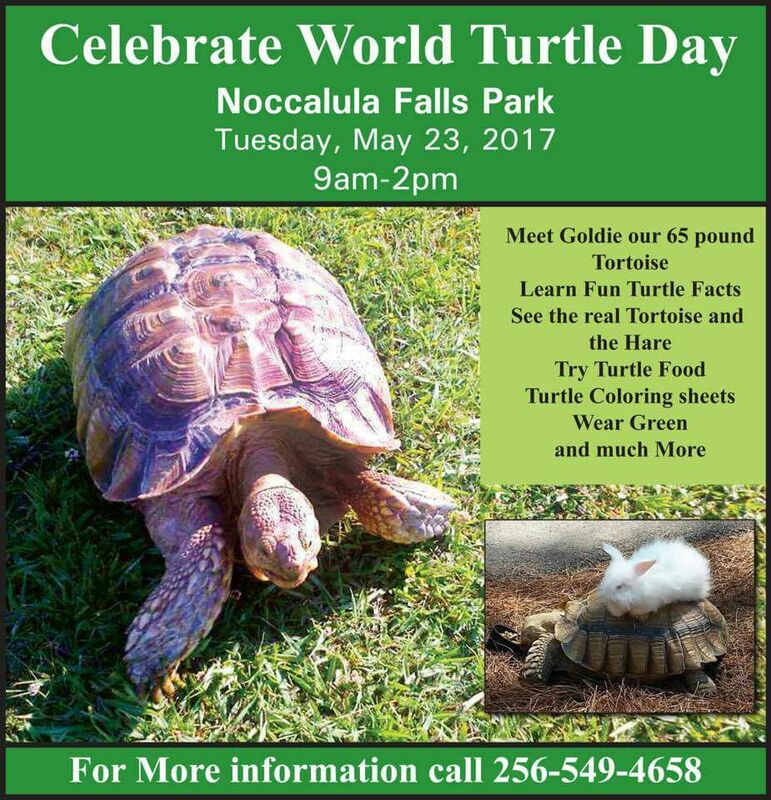 Info: Celebrate World Turtle Day meet Goldie our 65-pound tortoise at the Noccalula Falls Petting zoo, Learn fun turtle facts, See the real 'Tortoise and the Hare’, try turtle Food, wear green, and more!